For those who have never heard of Jericho, it was a television show which aired from 2006-2008 and focused on a group of characters thrown together in a small town in the State of Kansas after a nuclear event in the United States. While the show was definitely post-apocalyptic in focus, dealt with the aftermath of a limited nuclear catastrophe, and spent lots of screen time exploring the issues of terrorism, political cover-ups, conspiracies, mercenary armies, and corrupt corporations, it never lost sight of the fact that it was a story about ordinary people. When the show ended its run, the story naturally had a less-than-stellar ending – though it was, at least, a conclusion of sorts. But thankfully (for Jericho fans, at least) the shows writers and producers got together with a couple comic companies, obtained the actors’ permissions to use their real likenesses, and created this official continuation of the series. 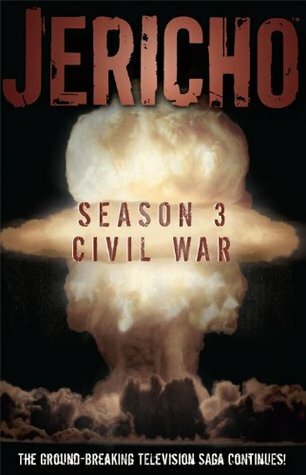 Jericho: Season Three – Civil War starts off exactly how the tv series ended with Jake Green and Robert Hawkins in the independent Republic of Texas with a nuclear bomb. From there the surprises and excitement keeps building as the brewing war between the successor states of the U.S.A. begins to break out in earnest and the mysterious mastermind of the September nuclear attacks on U.S. cities begins to be revealed. After finishing this comic collection, the first thing I must say is thank you to everyone involved in getting this project done and gifting it to the show’s fans. It is, without a doubt, a welcome addition to the Jericho mythos and seamlessly carries on the story, weaving a post-apocalyptic plot that has the perfect mixture of nuclear horror, political mystery, human struggles, acts of nobility, and periods of brutality to entertain anyone! Now, with my fanboy gushing over, I have to remind everyone that nothing is perfect. And this comic collection is not an exception. My main criticisms of it being that the story is just not complex enough. As fans of the show may recall, on television, there was a large cast of characters; people the production team could highlight and immerse in an ongoing plot before moving on to another character, do the same things with him or her before repeating with yet another person while constantly foreshadowing future events. It was a type of storytelling that allowed a very complex storyline to develop organically, and Jericho the tv series really excelled at it. Unfortunately, though, a six part comic series obviously did not give the writers the luxury to use this method, but required them to focus on a smaller core of people, provide less details in exchange for rapidly fleshing out the overarching story of what happens to the USA, Texas, and the ASA (Allied States of America) as the Second American Civil War breaks out. And while they did an admirable job making it work, it really was a bit of a letdown in its narrower focus. Criticism aside, though, this is a very good continuation of the Jericho television series. The artwork is top notch, faithfully renders the actors, and does an excellent job visually “selling” the story. And that story is pure Jericho. No, it isn’t quite as complex. No, it doesn’t juggle as many different characters and storylines. But it is still a satisfying continuation of a series that was cancelled way before its time. And just a finally note for all you Walking Dead fans out there. If you think Lennie James has done a great job with the character of Morgan Jones then come take a look at him as the mysteries Robert Hawkins in Jericho, because he is quite frankly amazing! 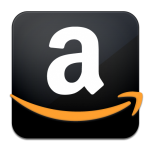 Buy Jericho Season 3 TP at Amazon. This entry was posted in 5 Stars, Graphic Novels, Jericho, Post-apocalyptic and tagged Jericho, Jericho Civil War, Jericho television series, Jericho: Season Three, nuclear bomb, post-apocalyptic television series, post-apocalyptic world, Robert Hawkins. Bookmark the permalink. Good review. 7 years later and JERICHO fans still can’t get enough. Wake up Netflix, POP, CBS…..bring it back. Just amazing no one has brought this show back in some form. They have a built in audience plus all the people who have discovered it on Netflix. Currently CBS has recently added the Pop Network (cable) and Pop is about fans, fandom and popular culture. The fans are currently e-mailing Pop and asking for new episodes. Pop will begin airing the original Jericho episodes later this year. pay double for net flix to see a couple more episodes, far better than the walking dead or anything on tv today.